Throughout the annals of recorded history, man has always dreamed of making the ocean his domain. 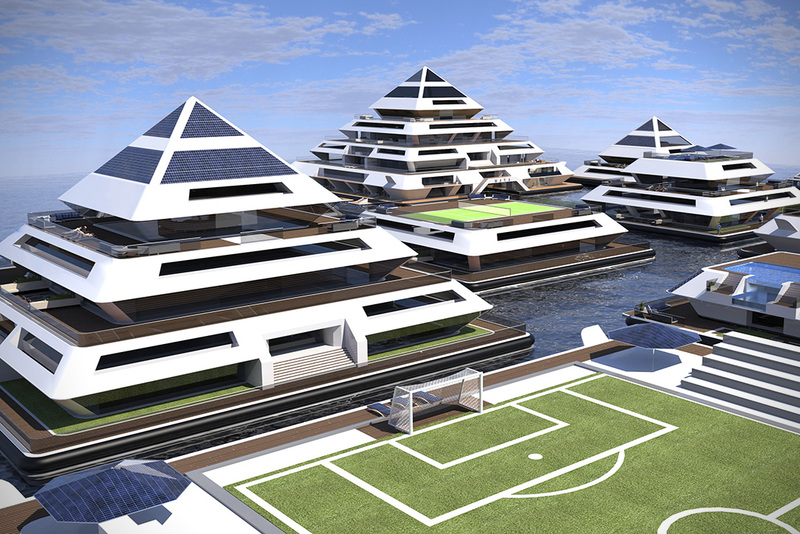 Architect Pierpaolo Lezzerini’s fantastic vision of a buoyant city on the water mixes Mayan and Japanese architectural influence to create his concept Wayaland, a remarkable vision of a future, afloat. From Lazzerini’s imagination springs a luxury watery community, equipped with everything that a small populace needs, including shops, restaurants, bars, spas, gyms, tennis courts, a movie theater, and even a casino. 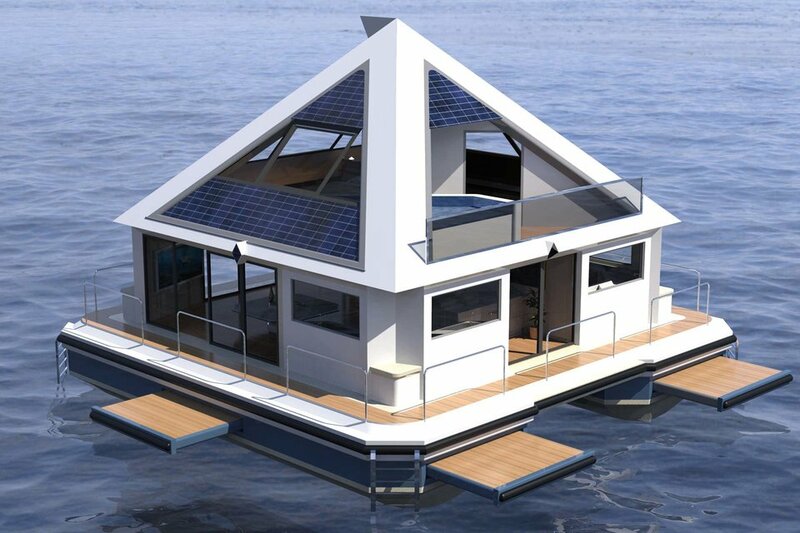 A collection of island domiciles constellate the city; solar powered pyramids float on the water surface, anchored to the ground and able to be adjusted in position by mounted engines on their bases. Don’t take a gondola into town, instead take one of the capsule-like speed boats of which Wayaland boasts an armada. The mothership, so to speak – the central pyramid of Wayaland – has a large, 54 by 54 meter basement basement. Boats can enter and anchor within that base module. 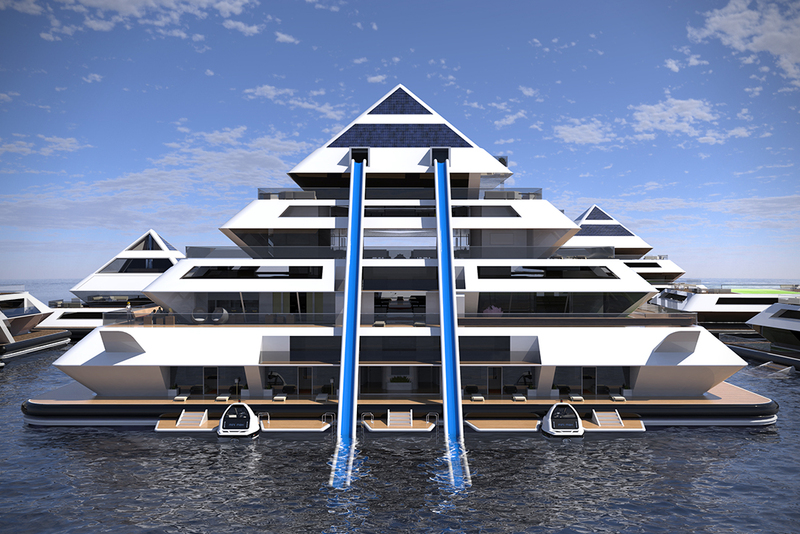 The tallest pyramid in the small city stands at 30 feet above the water level. 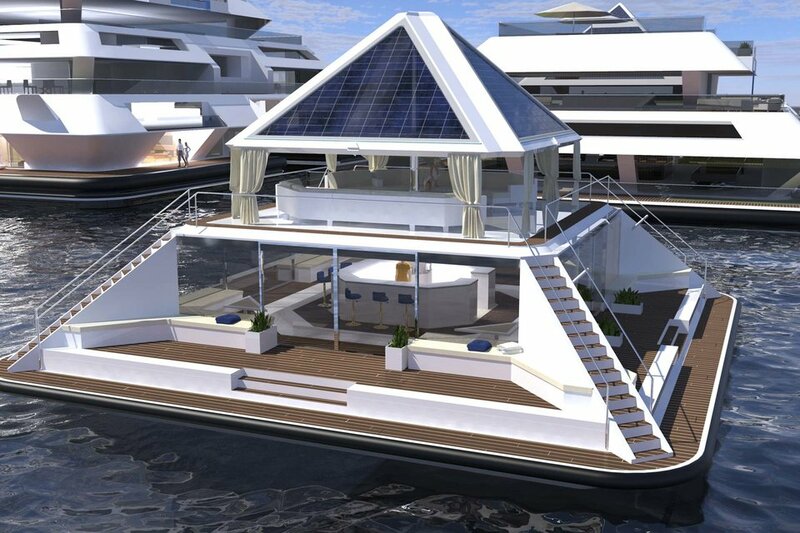 Self-sustenance is an integral focus in Lazzerini’s project, and as such solar panels and water turbines contribute the bulk of the power supply in this concept. Book now, and receive your Wayaland passport, which will grant you access at the community inauguration in 2022. Or you can check other projects of floating cicties: Utopia and Osros.